Some people think that bones are hard, unchanging, lifeless structures of support, but actually, bones are living, and growing tissue. Throughout our lives, we can protect our bones with some simple habits. A well-balanced diet with adequate calcium (approximately 1000 mg/day) and Vitamin D (800-1000 IU/day) is recommended. Food is the best source of calcium, and this can be found in dairy products (milk, yogurt, and cheese), green leafy vegetables (kale broccoli and spinach) and seafood (salmon, clams, shrimp and crab). If needed, supplements can be added (additional magnesium also assists in calcium absorption). Also, it is important to include weight bearing and strengthening exercises every day, with added balance training. This will both strengthen our muscles and bones as well as prevent falls and fractures. In addition, a good rule of thumb is to avoid smoking and also limit alcohol intake to one drink per day. Did you know that throughout life, we constantly lose old bone while making new bone? As we age we can lose more bone than we create, and osteoporosis can occur when too much bone is lost. Screening for osteoporosis is performed through a test called a DEXA ( Dual Energy X-ray absorption) exam to actually measure bone mineral density. The DEXA is a simple, painless test that evaluates the hip and lumbar spine (and wrist if indicated) to measure the current bone mass in these regions. We advise screening for osteoporosis in menopause, especially if certain risk factors are present. With the information obtained from the DEXA, a treatment plan can be created to prevent, detect and treat bone loss. 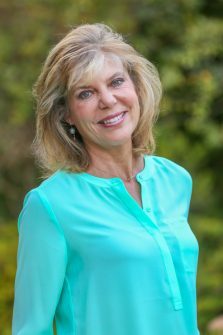 Dr. Norene Norris-Walsh, M.D. the author of this blog, is proud to practice at Orange Coast Women’s Medical Group and values listening to a woman’s specific concerns, alleviating any fears and promoting empowerment to improve health outcomes. 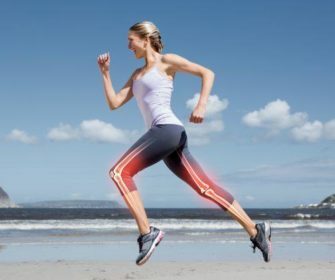 To learn more about bone density screening at Orange Coast Women’s Medical Group or for additional information on regular OBGYN visits, call one of our conveniently located offices in Irvine, Laguna Hills or San Clemente/Talega, CA at (949) 829-5500.